A history of the settlement of this area cannot be told without acknowledging the original inhabitants. The Australian Museum in Sydney has as its focus-piece a replica of a rock shelter at Burrill Lake that tells the story of how some of the first inhabitants of this area lived for over 20,000 years. There are many other reminders in the area of the different tribes and clans, but as their history was passed on orally the real stories have been tragically lost. The people were killed or displaced in a relatively short period as the settlement of the area began in the 18thcentury. Captain Cook first mentions the sighting of Pigeon House Mountain in his private log from 7am on the morning of April 22nd, 1770. 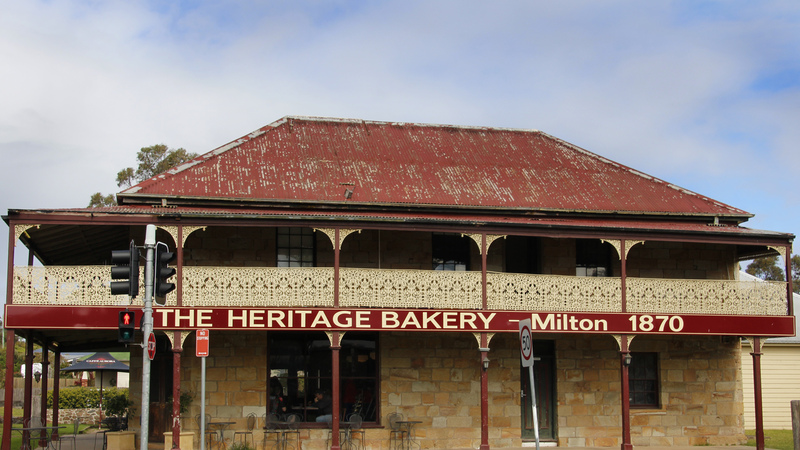 In 1827, surveyor Thomas Florance detailed Milton, Ulladulla and its surrounding districts. At Ulladulla, cedar drew the first non-Aboriginal settlers, the first of whom was Henry Kendall. 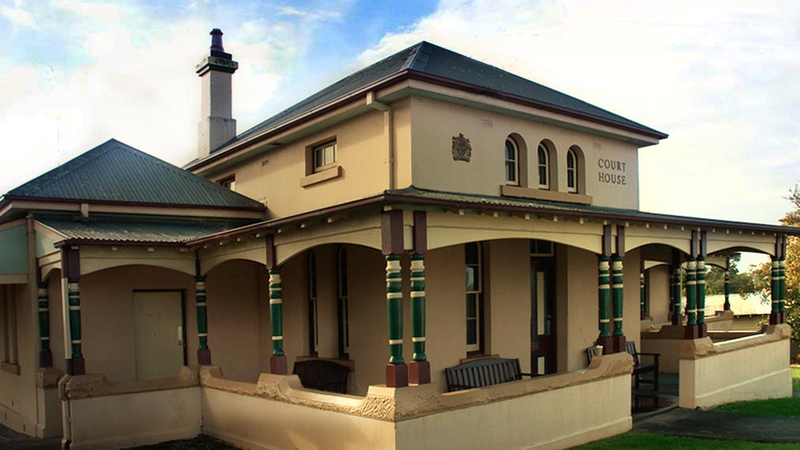 He settled just north of the present township in 1828. Gradually the rich farming land seven kilometres north of the harbour was settled and this was called “The Settlement” by the local farmers, and the harbour from which their produce was shipped to Sydney was known as the “Boat Harbour”. 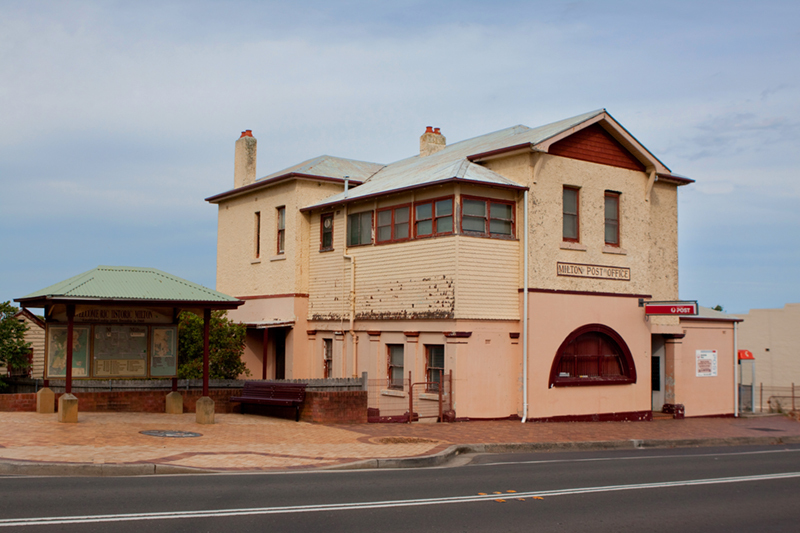 By 1859 the district of Ulladulla had a population of 300 non-Aboriginal people. In 1859 John Booth bought 80 acres of Myrtle Farm from Joseph Whatman. He had it subdivided into the township of Milton. The new township was given its name by the town’s first postmaster, George Knight, the same year. Economic prosperity soon came to Milton and as early as 1866 magnificent homesteads, some still standing, were erected for leading citizens. Schools and churches were also built. By 1866 Milton had a Church of England, Roman Catholic Church and a Wesleyan Church. 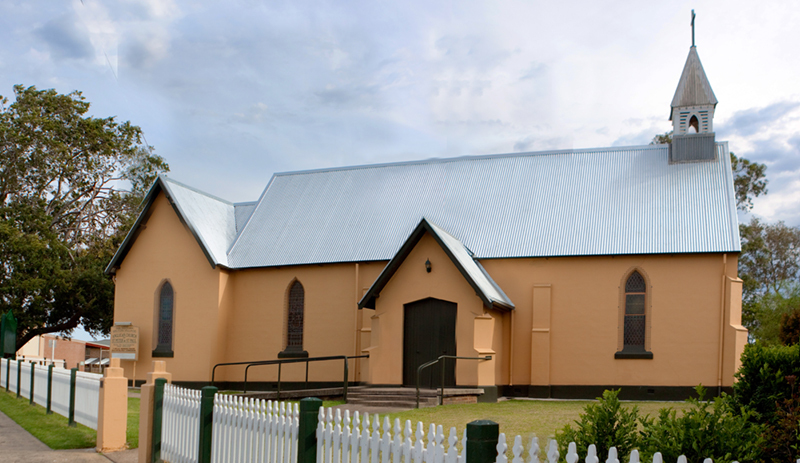 The Congregational Church, now the site of the Uniting Church, was opened in 1872. In 1978 the Milton Public School celebrated its Centenary. 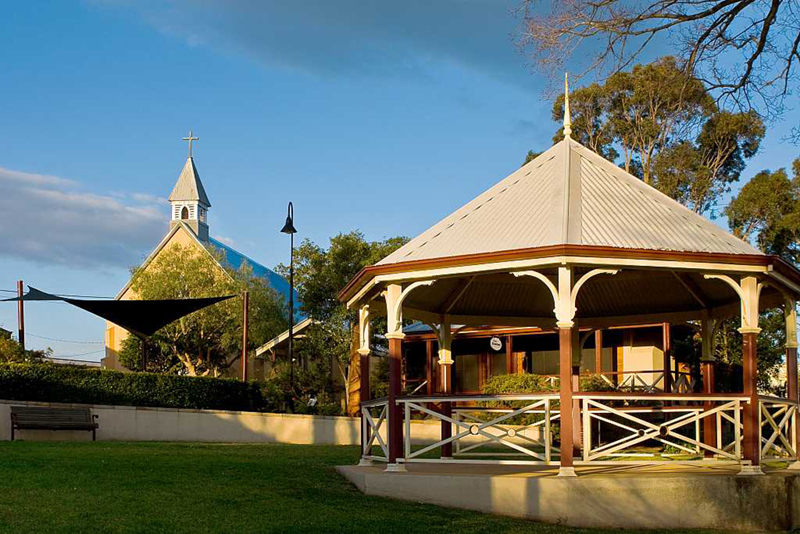 Visitors passing through Milton could be excused for not realising that much of the district’s early history originated amongst the lush pastures surrounding the township. Here may still be found many original homesteads, the majority in excellent condition, dating back over 150 years to the period when the early settlers first obtained their land grants from the Colonial Secretary. Milton itself, apart from its interesting public and commercial buildings, has a number of historic homes, particularly towards its southern and eastern ends. Notable is Claydon Park, the home of Sarah Claydon, the district’s very own Florence Nightingale; the Wesleyan Methodist Manse, used the coastwatchers in World War II; the old Thomson’s Bakery, formerly a bank; Legacy House, circa 1875, and the present home of Legacy; the old lighthouse keeper’s cottage, brought from Warden’s Head when the lighthouse was mechanised and re-erected on the highway in Milton; and the Heritage Bakery, on the corner of the Highway and Croobyar Road, built circa 1870 by Adam McArthur, has been used a general store, a private home, guest house, an early mote, a restaurant and now a bakery. Stroll down the mainstreet of Milton and you will see good examples of “Italianate” style architecture. 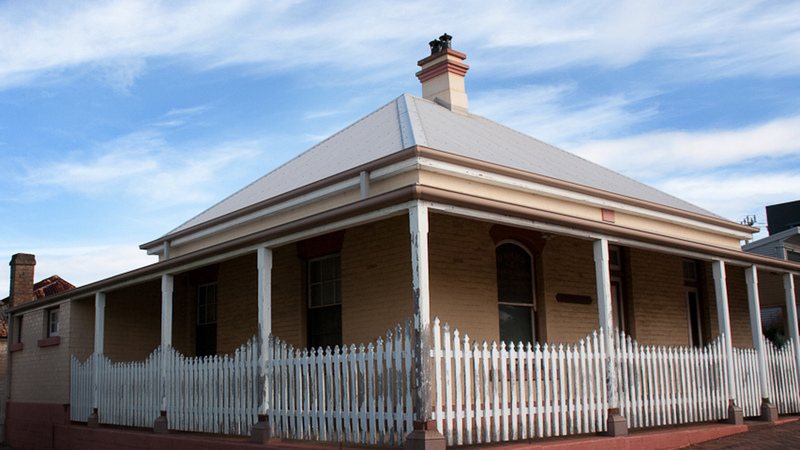 These include the Heritage listed Commercial Bank of Sydney, built in 1875, Blackburn’s store (The Settlement) 1898, while the historic Post Office, Courthouse, Public School building and Milton’s churches are examples of the “Gothic” style.